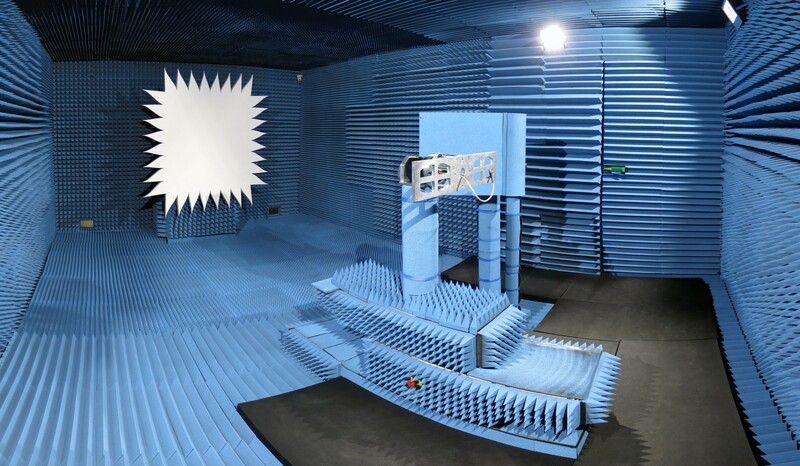 A Compact Antenna Test Range (CATR) is a type of range used for testing antenna systems at frequencies where obtaining Far-Field spacing to the AUT would be impractical using traditional free space methods. A CATR, based on a single reflector, uses a source antenna which radiates a spherical wave front, and one reflector to collimate the radiated spherical wave front into a planar wave front within the desired test zone. A CATR is used for microwave and millimetre wave frequencies where the 2D2/? 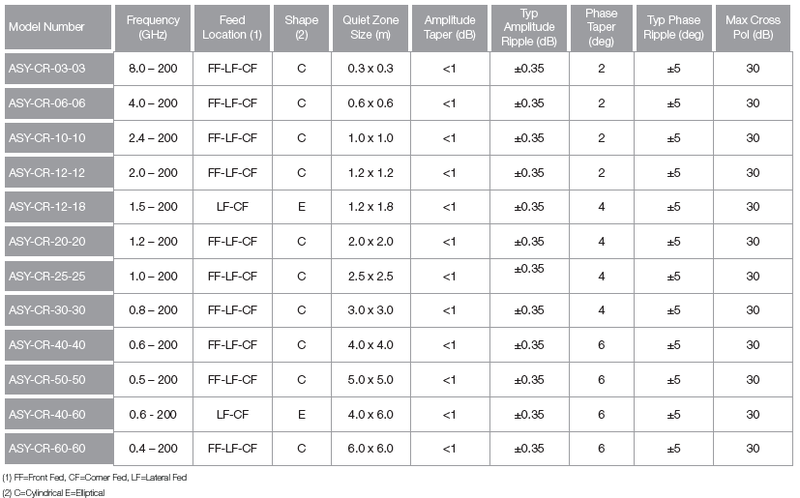 far-field distance is large, such as with high-gain reflector antennas. ASYSOL’s family of reflectors are fabricated utilising the most advanced and accurate metal machining facilities, achieving typical surface accuracies of up to 15?m required for today’s high frequency demands. Edge diffraction is kept to a minimum by employing carefully designed serrations, optimised for low frequency operation to minimise interference in the desired beam pattern.